”From the ground up” THE WAGAN Pure Line 2000W Pure Sine Inverter is the way that our new Pure Line Inverters have been built. 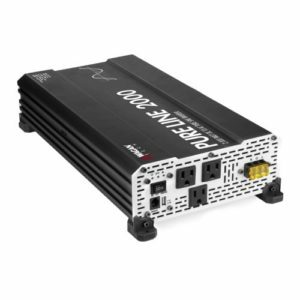 Born from an idea to make compact and efficient Pure Sine Wave Inverters that not only look good, but perform great; the new Pure Line Inverter will change the way that you look at PSW Power Inverters! All models are ETL Listed and conform to UL 458 Standards! 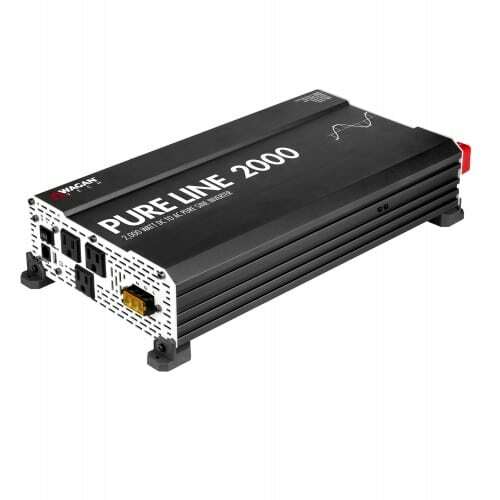 On the front of the Pure Line 2000W you’ll find: three 3-prong GFCI AC outlets (NEMA 5-15), 3 position power switch (On > Off > Remote), High Output Terminal Block, 2.1A USB Power Port, Power & Fault Lights, Solid Mounting Feet, and a remote switch input port. 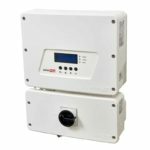 Inspired from the best parts of our popular Elite™ & SlimLine™ series of inverters, the Pure Line offers the clean pure sine wave from the Elite Series while retaining the good looks and compact size of the SlimLine Series! 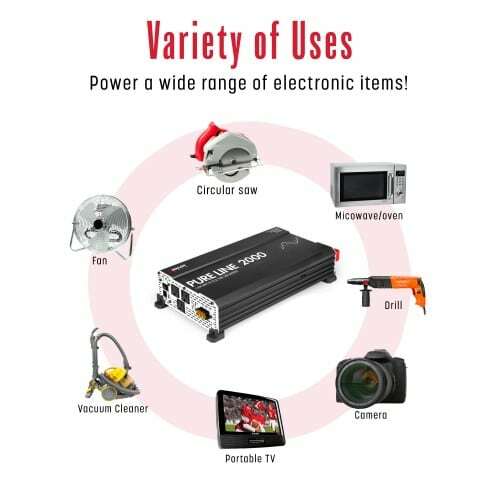 This is the pinnacle of inverter technology; the best of the best combined into a single unit! win Cooling Fans, Solid Mounting Feet, and a Grounding Terminal. 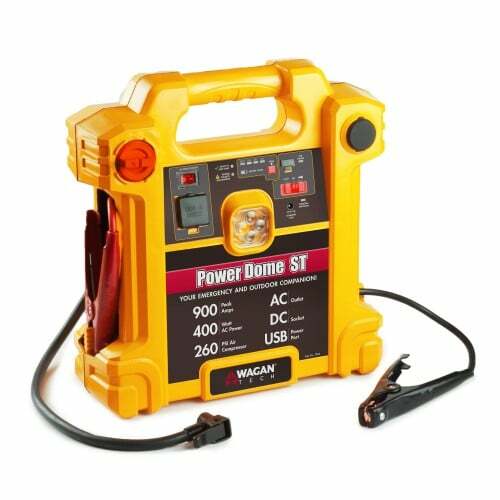 Wagan Tech builds our inverters with high peak surges that allow up to 3x the continuous rating to support high surging appliances such as tools, microwaves, air conditioners and refrigerators. Wagan Tech uses top quality components and reliable MOSFET transistors; the key factor in reliable inverter manufacturing. 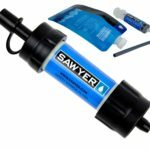 In your vehicle, boat, motorcycle, RV, truck, Camper, tail-gating, camping, kid’s soccer games, or anywhere you need to turn DC (battery) power into AC (household) power is where the Pure Line 2000W will shine! 2000 continuous watts means that you can run your appliance without worry of the Pure Line 2000W letting you down like lesser inverters. 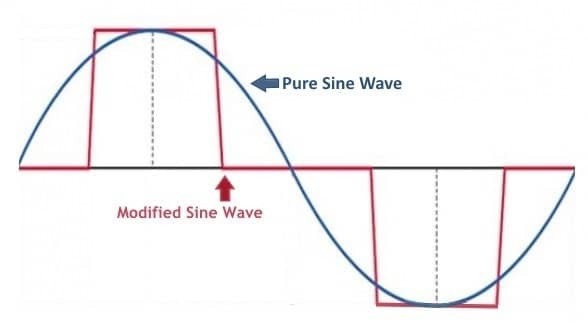 Why Pure Sine Waves over Modified Sine Waves? TrueRated Power is Wagan Tech’s coined term for truth in advertising and performance. 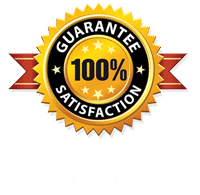 Simply put, our TrueRated inverters are tested at full load (the number printed on the inverter) and will sustain that load continuously for 24 hours. 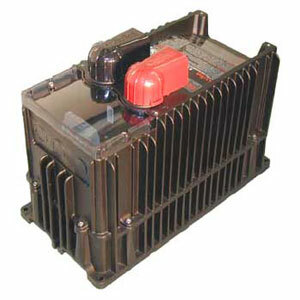 For example, our Elite 400 Watt Pro Inverter will run for 24 hours straight with a 400 Watt load. 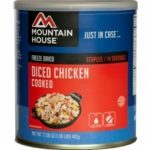 Our competitors claim “continuous wattage” when in fact most are only rated at 20 minutes of continuous wattage. 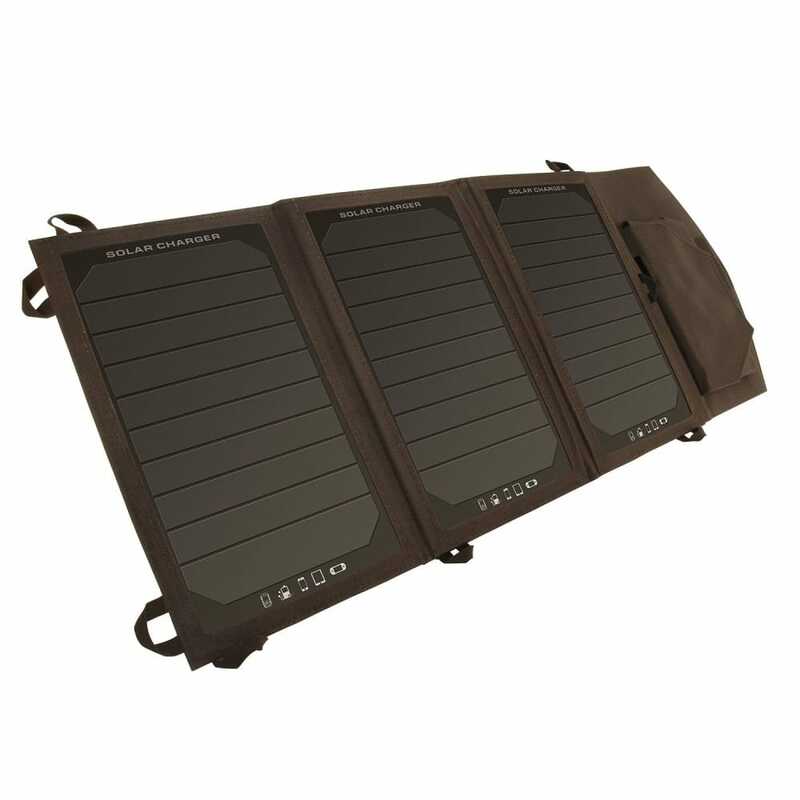 After 20 minutes, the competitors output wattage will drop down by as much as 25% of their claimed wattage (in a 400 watt inverter, that can be a 100 watt loss! ).